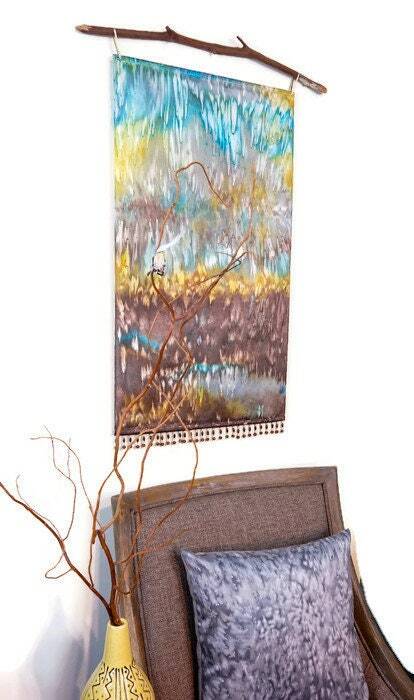 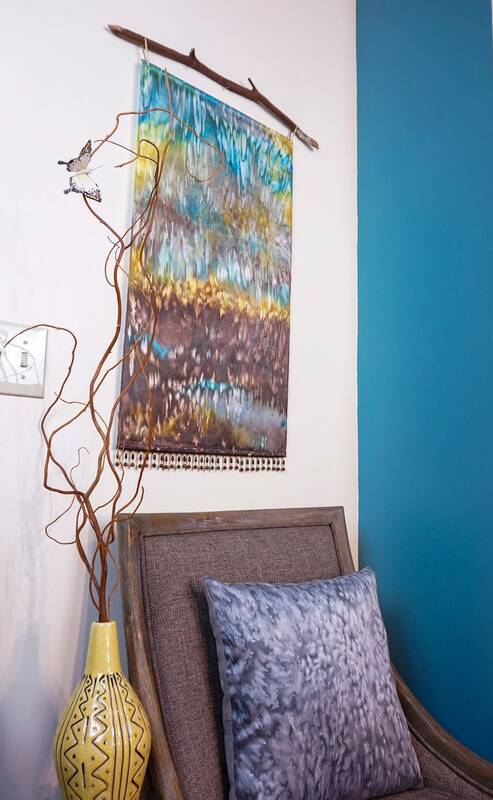 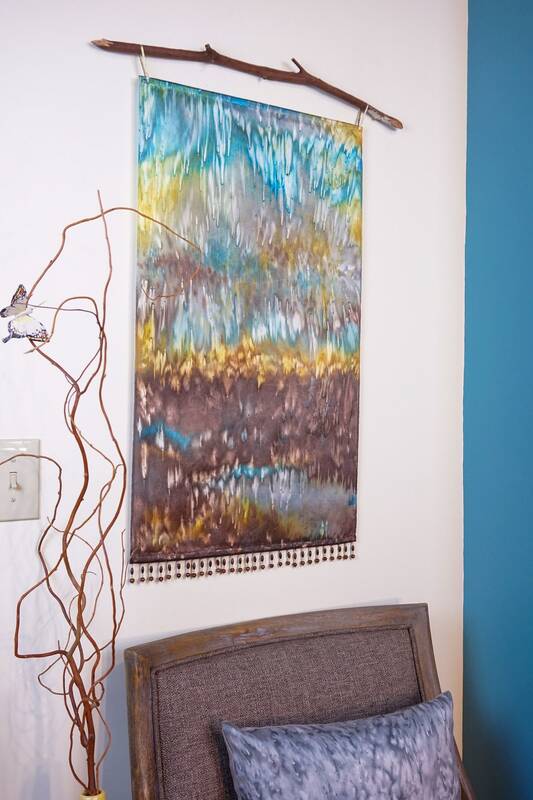 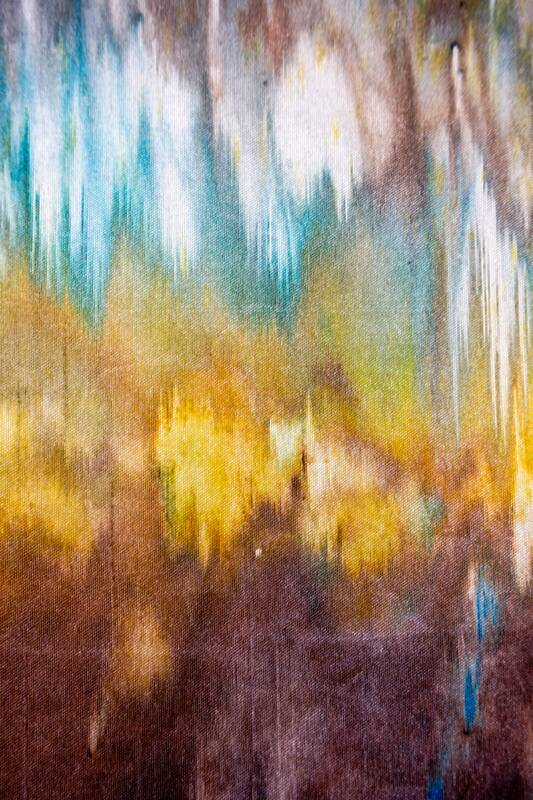 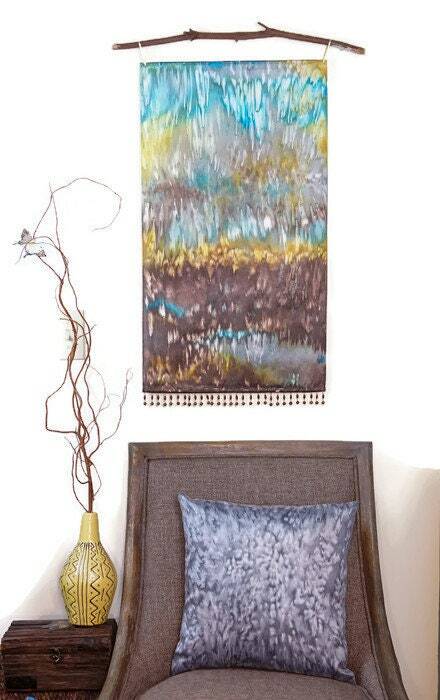 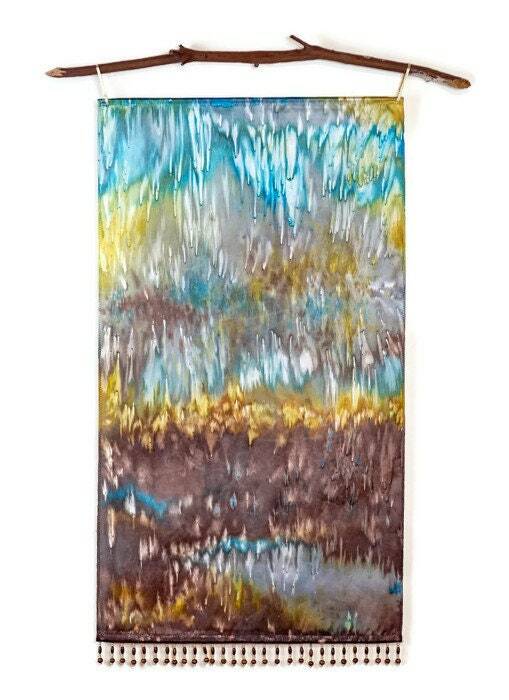 This handcrafted Blue Brown Art adds rustic appeal with rich colors on lightly textured silk. 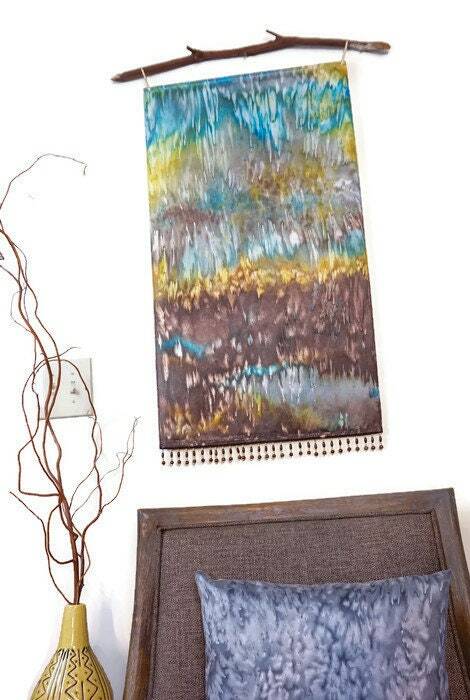 A very unique textile art, it hangs on a branch I gathered on a hike in the Appalachian mountains I call home. 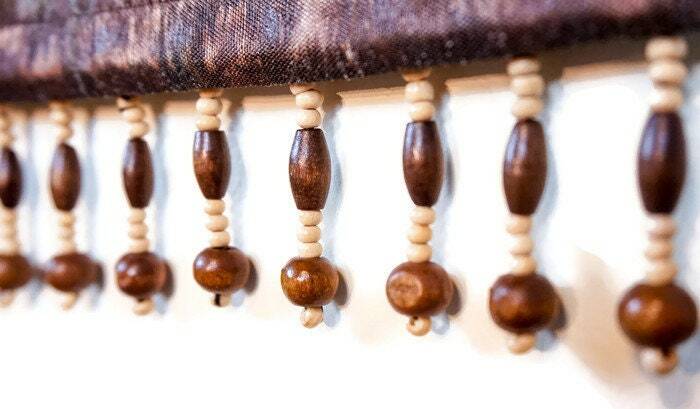 Beaded fringe and a hidden rod at the bottom add beautiful detail and weight for a smooth drape. 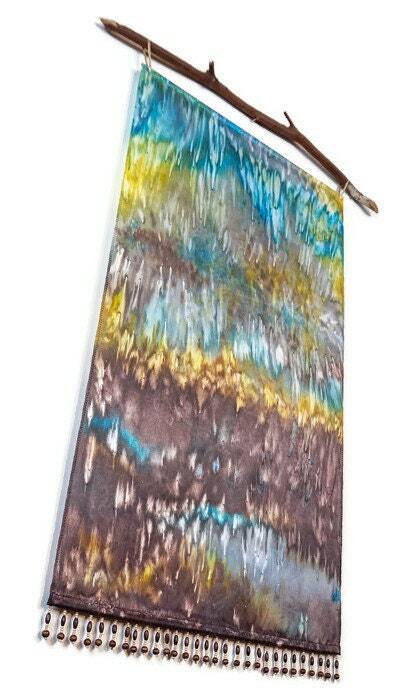 The process I developed for making my Watercolor Silk Tapestries is labor intensive, but magical, resulting in wall hangings unlike any I've seen elsewhere!